For Our Retired Members: Take a Geology Class! Retired, with time on your hands? Learn some geology —or anything else! Why not audit a class at PSU? It's free, practically, and you get to hear the same great professors who've addressed our Friday night meetings. I've been auditing mostly geology since I retired, over 30 to date, from entry-level to heavy-duty senior/grad. You can arrange with the instructor on how deeply you want to get involved, from just sitting in on the lectures all the way to labs, quizzes, term papers and exams. First time auditors must apply to be an auditor and pay a one time registration fee of $25. The Senior Adult Learning Center (SALC) office accepts only check or money order for the one- time application fee. Full information about auditing is available on the SALC website. FYI there is a SALC orientation class for new or returning auditors being given on Wed, April 4, from noon until 1:30. Log on to pdx.edu. Click on Quick Menu and then Find a Class. Theoretically any class can be audited if there's room and if the teacher agrees. Drop by the Senior Adult Learning Centers office on the PSU campus and pick up an SALC registration form. Fill in the classes of your choice, up to 8 credits. On the first meeting day of your selected class, go up to the teacher after the class to get a signature. When you have all the signatures, turn in the registration form and in a few days you'll have a pseudo-student number and access to online class materials. Spring term starts Monday, April 2nd. I'm aiming for Martin Streck's Igneous Petrogenesis class, a senior-grad level class which is still looking for enough real students to run the class. The other is entry-level historical geology being taught by none other than our new GSOC BOG member, Megan Faust. If you want to start slow, look into one of the G200 1 to 3-day field trip classes; e.g. 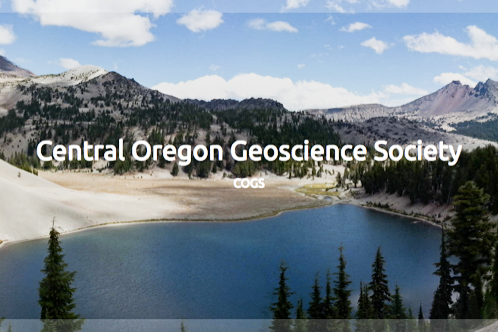 this term: The Gorge, Quakes and Tsunamis, and Central Oregon, led by the likes of Nancy Price and Ashley Streig. Feel free to e-mail me at bononn14@Q.com and if you'd like a second opinion, check with Marty Muncie — she's been doing them all along.